Cover Reads: Omg, They're Eating Noses! 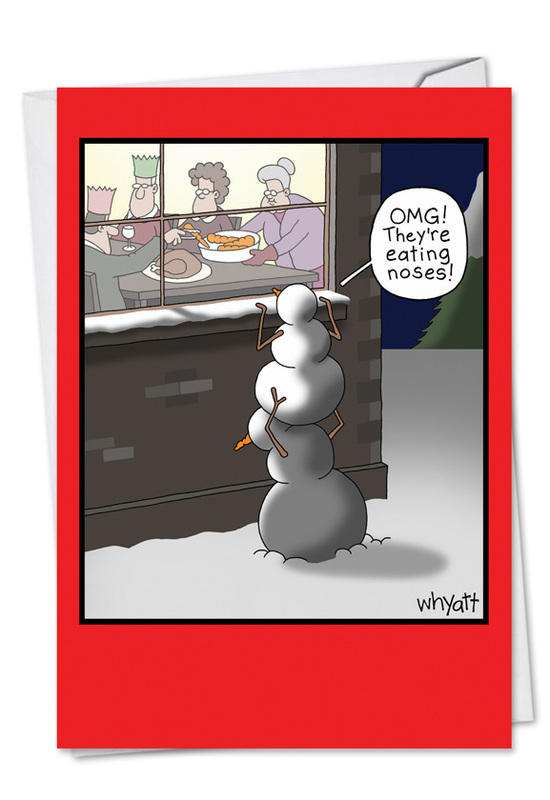 In this hilarious Christmas card drawn by Tim Whyatt, a pair of snowmen steal a peek into the family dining room during the holidays, and are shocked white by what they see through their charcoal eyes. The inside features a wish for people who might not be anticipating the arrival of the holidays — but who would appreciate a more sarcastic, snarky sentiment. Tim Whyatt’s ingenious creativity and signature cartooning style is proudly featured on this funny seasons greetings card. 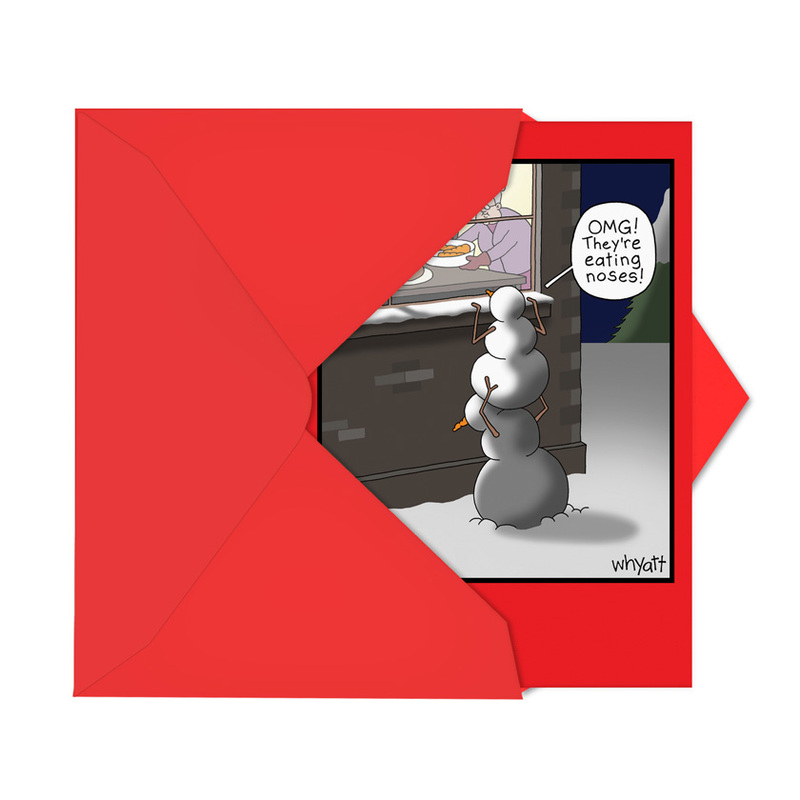 The amusing, whimsical scene is perfect for those looking for something better than a mushy Hallmark moment. 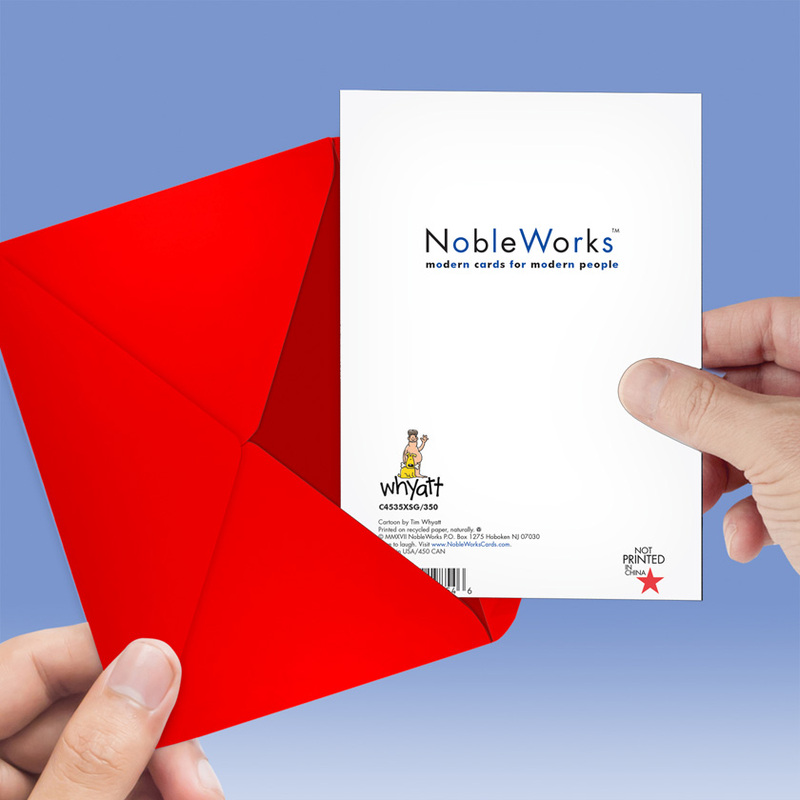 Perfect for non-religious friends and family, it’s available at NobleWorks Cards with discounts at bulk quantities, so you can stock up and spread a blanket of holiday cheer with a holiday card that will be appreciated. This is one clever, colorful Christmas card. 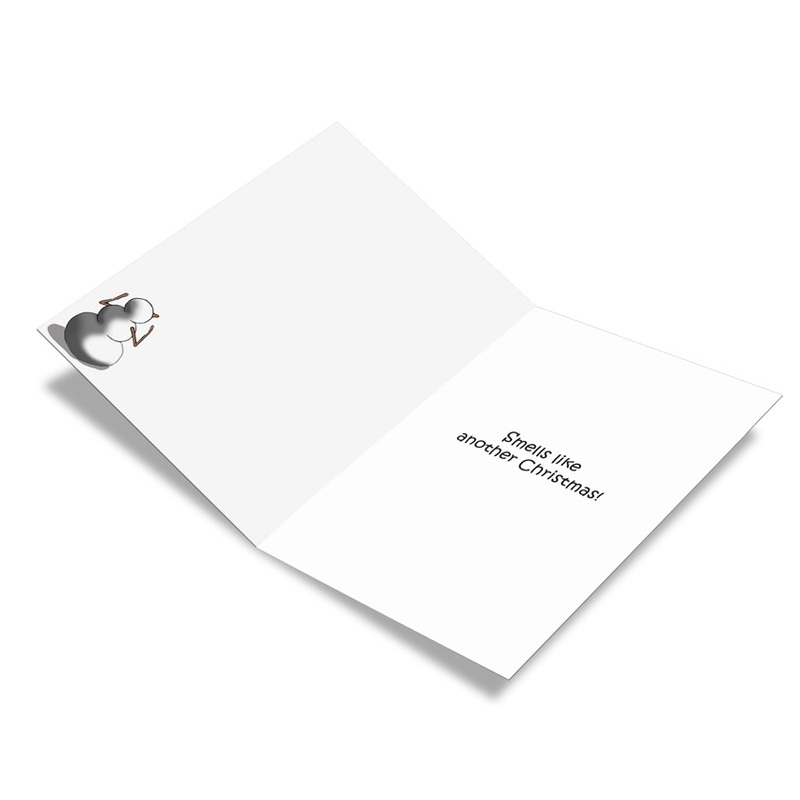 Bordered in bright, seasonal red and bursting with good cartoon cheer, and turkey, follow your nose to this jolly Yuletide missive and then mail it on to someone else who also shares a strong sense of humor. 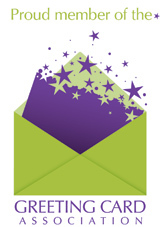 It’s made with 10 percent post-consumer recycled paper fiber. 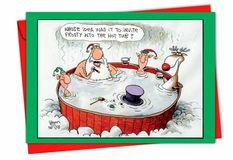 Very funny XMas card. Lots of people commented on it. Who doesn't love a FUNNY card? I exclusively shop Noble Works for all my greeting card needs. Very Cheeky! 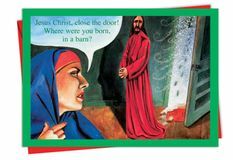 These cards are the funniest cards I ever come across. I purchased these for the young ones in the family. I'm sure they will laugh their butts off. Natural people should really think twice about all the snowmen and snowpeople who are going without a nose tonight. To all the heartless vegetarians out there: THINK before you chew!